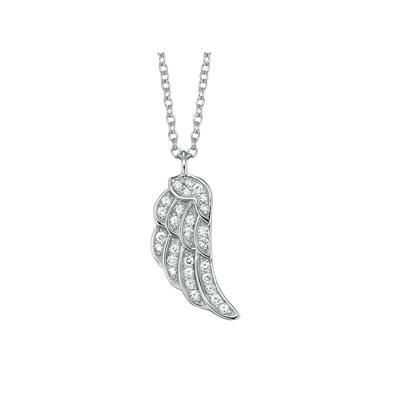 The Engelsrufer Angel Wing necklace beautifully crafted with Rhodium plated 925 Sterling Silver and Cubic Zirconia pave. The detailed angel wing symbolises luck and love and is a sweet reminder that your loved ones are always near, protecting you. This sentimental design is a beautiful gift for anyone who has lost faith or needs some guidance.